^1 Year Platinum Protection applies to Puretec Systems when used in conjunction with a Puretec filter cartridge. Warranty is 1 Year parts and labour. Using the latest carbon briquette technology, the filtration system will purify the water in a multi-stage process. Puretec’s long life filters usually only require changing once every 6 to 12 months. The quick-twist cartridge can be easily replaced. Once the water has been purified, it can be delivered either sparkling or still. 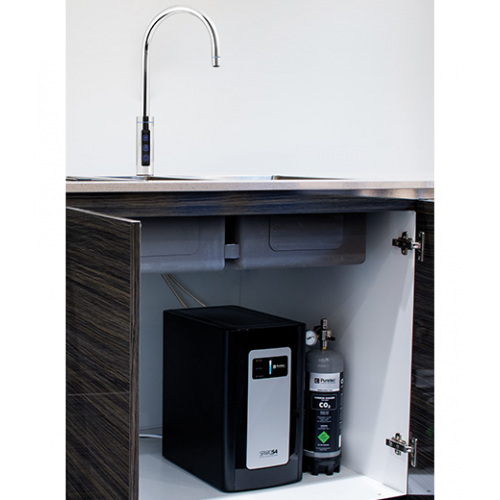 If sparkling water is selected, the system injects CO2 gas into the water stream as it is dispensed. 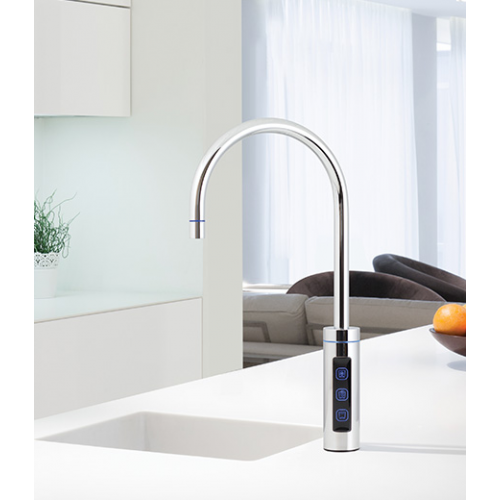 This gives you chilled, fresh water with just the right amount of sparkle. The CO2 canister is easy to replace, and usually lasts between 9 to 12 months, depending on individual use. 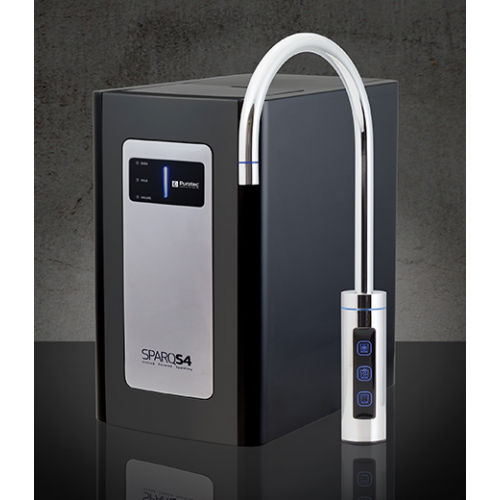 The SPARQ S4 includes a built in cooling system that chills the water for a refreshingly cold drink. You can choose between ambient or chilled when dispensing still water. The sparkling water is delivered chilled only.